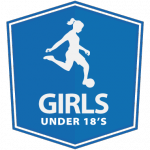 Our Girls Competition teams are graded on skill wherever player numbers allow. We try hard to nominate our teams in appropriate divisions to ensure a competitive and fun season for our players. These teams train once a week for 60-75 minutes and generally play on Sunday mornings. Training sessions are held at Asquith Park on Tuesday, Wednesday and Thursday afternoons and evenings. Teams are allocated space at a time which suits the coach, as negotiated with players and parents preseason. Preseason training and Grading days will be announced in our News section.